Are Ariana Grande and her boyfriend Mac Miller going to get married much sooner than we had expected? Apparently, the couple has already talked about a life together, and the singer is totally ready to have a wedding to remember. Ariana and Mac are so into one another that they have already discussed the prospect of walking down the aisle, insiders say. ‘Ariana wants to marry Mac as soon as possible. They have discussed locations, guest lists, and honeymoon destinations. Mac is talking a wedding in Hawaii, while Ariana says she would be fine marrying in her home state of Florida and honeymooning in Hawaii,’ one source close to the duo claimed. As fans may remember Mac and Ariana made their romance official back in August of 2016 and, now, after almost a year and a half of going out, they are reportedly ready to move to the next stage of their relationship. We have learned that the pair wants a huge lavish wedding that can properly celebrate their love. ‘They want a blowout wedding with all of their friends and family. Ariana wants an all-white wedding, — from the dress to the flowers to the cake,’ our source stated, adding that the two are so adorable together that they pretty much feel like a married couple already. 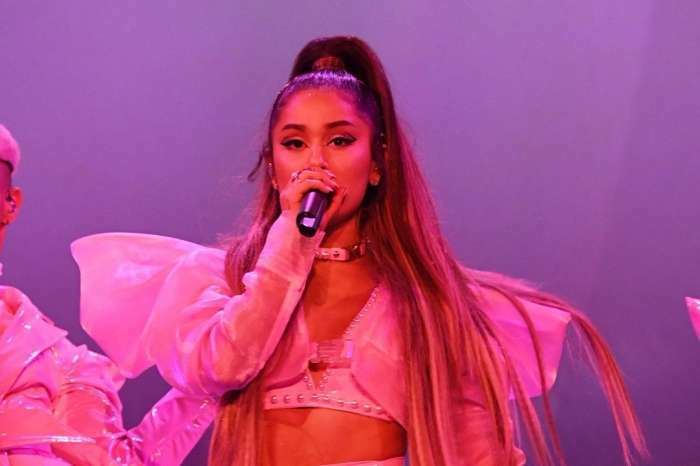 Fans probably remember that Ariana did spark some engagement rumors when she showed off a massive rock on her finger at her One Love Manchester benefit concert. Fans were convinced Mac had proposed, but neither one of them said anything about the speculations. In addition, they are very good at communicating and solving their problems so, why not? Do you think they shouldn’t get married so soon? Brittany Cartwright Speaks Out After Jax Taylor Admits To Cheating With Co-Star: "Seven Months Have Passed"